"Here’s to the nights that turned into mornings, and the friends who turned into family." We are in the middle of summer and in the middle of festival season which means music, boho outfits, friendship bracelets, braids in the hair and of course having fun. Maybe the music is the most important but a festival needs more than that to be the best. It must have other programs which can make the festival days really unforgettable. They usually provide the opportunity to try out bungee jumping but there are more ways to entertain visitors. The following ideas are not just for adults, they are perfect for kids as well and the programs offer a lot of fun. The water barrel also referred to as water roller ball is fun for everyone. It is usable in the seaside but also in lakes or even in a pool. In this ball it’s possible to „run” on the water. You can try it out alone but it is more fun with a friend together. Falling in the barrel can lead to funny somersaults so the program is definitely filled with laughter. 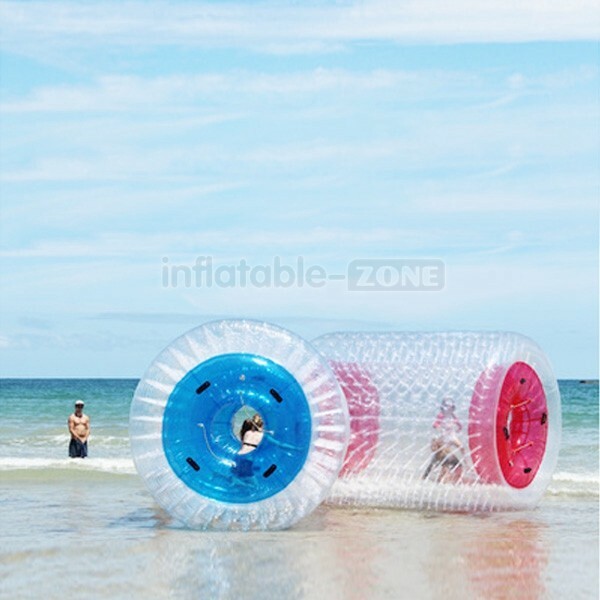 The water barrels on the picture are from Inflatable-Zone that was established in 2008 and is specialized in big inflatable products like these water roller balls or the bumper balls below but they also have inflatable castles, slides or tramplines for example. If you are a company, it is possible for you to print your own logo on the products for free. Inflatable-Zone offers the products with free shipping by express to the United States, Canada, Europe, Australia & Asia with a door to door sercive to your house. Although you need to take attention that import duties, taxes and charges are not included in the item price. The bumper balls above come in a set of 10 and to the package you also receive a free pump, a repair kit and also a carry bag for each ball. Like the water roller ball, it is more fun, when people fall. 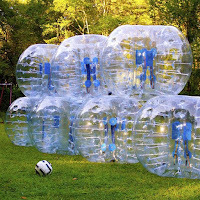 In these balls you can battle or roll over and all these without any risk of injury to yourself. Bumper balls are very fun for both adults and children – even for those who are just watching the play. Bubble soccer is a great program as a charity event where for example real football players play for a good case. But they are also nice at different events or birthday parties. Have you ever tried any of these plays? Do you have a favourite festival? What does it make to the best for you? Those look super fun! Definitely a cool way to enjoy the summer! follow4follow? let me know on my blog ;3 have a nice day! I reallllyyyy wanna give this a try! It is so much fun! Great outdoor activities for family and friends. These look like so much fun! I want one! I would love to try this, it looks like so much fun! Thank you for your lovely comment in my previous post. This is crazy and ao cool! I would be too scared to try the one on water. I would be worried that I catch the wrong tide and float away. Lol. I would try the bumper balls you use on land that looks like a lot of fun. To be honest I also don't know how to find these plays but I think they are common at seasides. Although a few weeks ago I discovered a water barrel in a small inflatable pool at the kid's section of a little town event. Oh my gosh! That looks like SO much fun! WOW!